From 6 to 9 October 2017 the NATO Parliamentary Assembly (NATO PA) gathered for its Annual Session in Bucharest, Romania. Romania hosted the NATO PA’s Annual Session for the third time. 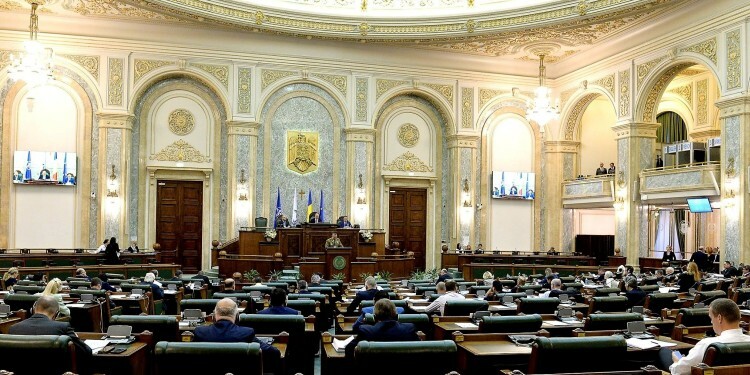 The first Assembly session was held in October 1997, at a time when Romania was still a candidate for NATO membership. The country joined NATO in 2004 at the Prague Summit. “Over the years, Romania has consistently stressed the strategic importance of the Black Sea to NATO and to transatlantic security. Today, the Black sea is undoubtedly one of our four central preoccupations” the Assembly’s President Paolo Alli, said. “Today’s challenges are complex and multifaceted, and require us to leverage and make the best use of all tools and institutions at our disposal. We must continue to encourage ever-closer cooperation between NATO and the European Union, between NATO and the United Nations and with partner organisations across Africa and the Middle East” Mr. Alli emphasized. On Saturday and Sunday four Committee Meetings were organised: the Committee on the Civil Dimension of Security, the Defence and Security Committee, the Economics and Security Committee and the Political Committee. As in previous meetings, EUROMIL President Emmanuel Jacob, was invited to take part as an observer followed the work of the Defence and Security Committee chaired by MP Raymond Knops from the Netherlands. High on the agenda of the Security and Defence Committee were Afghanistan, Russia, the Ballistic Missile Defence, NATO-EU cooperation and a discussion on women, gender and violent extremism. On the EU-NATO cooperation two documents have been discussed. A first one was a draft report of the Sub-Committee on Transatlantic Defence and Security Cooperation on “NATO-EU Cooperation after Warsaw”. Presenting the draft report Lord Campbell of Pittenweem (UK) said: “NATO-EU cooperation was much talk, less action. But times have changed.” The conclusion of the report is that more synergistic cooperation between NATO and the EU is necessary in today’s complex international security environment. More than ever in the history of either organisation, integrated and effective cooperation is needed to face this suite of internal and external security challenges. It has been clearly mentioned that the EU has recently demonstrated the willingness to act on security, which was not always the case in the past. On the same issue a draft resolution on “Closer NATO-EU Cooperation” has been discussed and voted upon. With this resolution the Assembly expresses its view that NATO remains the cornerstone of security in Europe, but understanding that stronger European security is both necessary and complementary to NATO’s interest and goals. The NATO PA is confident that the environment is ripe for more structured, mutually beneficial and capable cooperation between NATO and the EU. Remarkable is that this resolution urges governments and parliaments of the EU to fully fund the European Defence Fund, support the Permanent Structured Cooperation (PESCO) and strengthen the EU’s Common Security and Defence Policy. Exceptional was a presentation followed by a debate on Women, gender and Violent Extremism presented by Elizabeth Pearson and Emily Winterbotham from the Royal United Services Institute (RUSI) from the UK. Their study has been conducted based on a focus group from the Muslim community from the UK, Germany, France, Canada and the Netherlands. They investigated the importance of gender in the field of radicalization, the differences between male and female radicalisation, but also the social networks that are without any doubt key in the radicalization process. Due to a busy agenda, EUROMIL could unfortunately not be present at the plenary sitting on Monday. With addresses of the President of Romania and the Presidents of the Senate and Chamber of Deputies, the participants will surely receive a lot of information and an inside view on the Romanian political situation. Furthermore, NATO Secretary General, Jens Stoltenberg, will address the Assembly. More information can be found on the homepage of the NATO Parliamentary Assembly. The Spring Session 2018 will be hold in Warsaw (Poland).